A piece with a long chord progression only played twice. With modulations and curls on the melody line and lots of fun chords. Instrumentation is dominated by many different guitar sounds. And a bass sound inspired by an old Italian song from the 60s. Soft pop with a twist of jazz waltz. 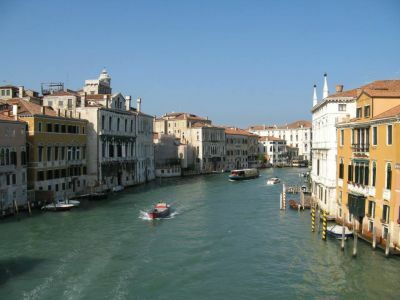 The image is one I took at the Grand Canal in Venice. Enjoy.